The Thomas Sovereign Gates Administration Records were transferred to the University Archives from the Office of the President. The Thomas Sovereign Gates Administration Records are organized in three series chronologically: 1930 – 1935, 1935 – 1940, and 1940 – 1945. Each series is arranged alphabetically. 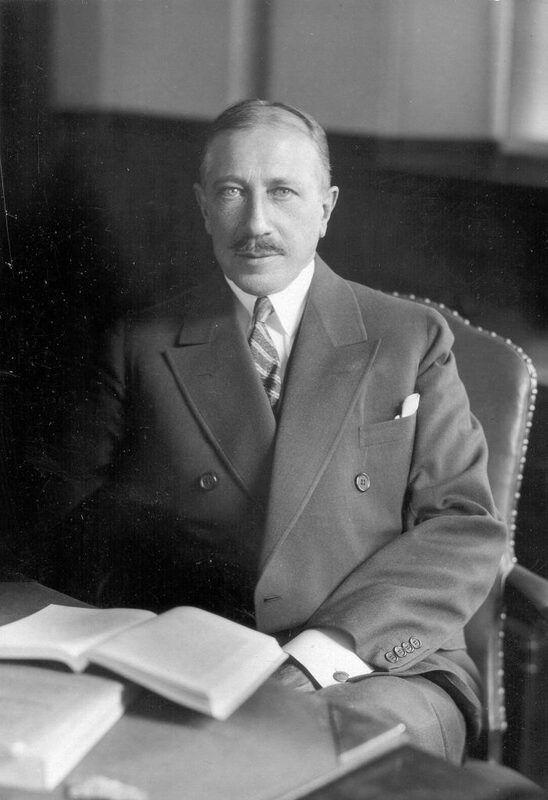 Thomas Sovereign Gates served as the first president of the University of Pennsylvania from 1930 – 1944. Gates was a Penn alumnus who had been an investment banker and served on the Board of Trustees for almost ten years before being appointed president. The Gates Administration saw the creation of the College of Women and School of Nursing, and guided the University through the Great Depression and World War II. It was also during this administration when the University considered a move from West Philadelphia to Valley Forge. The Thomas Sovereign Gates Administration Records document the activities in the administration of the University from 1930 – 1945.